Begin by speaking to Kangai at the Shrimp and Parrot Pub in Brimhaven. 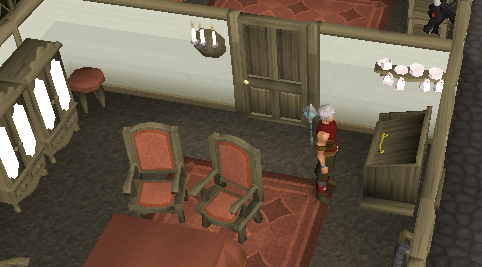 Firstly, talk to Kangai in the Shrimp and Parrot Pub in the center of Brimhaven, on Karamja Island. He will tell you that his totem was stolen by Lord Handlemort. Tell him that you'll help him get it back. 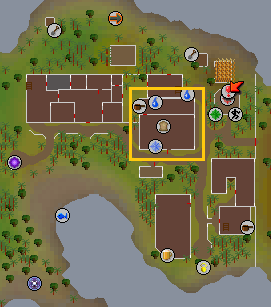 Now go to Ardougne by sailing from the Brimhaven Port, which can be found just north of the pub. It costs 30gp to take the boat from Brimhaven. 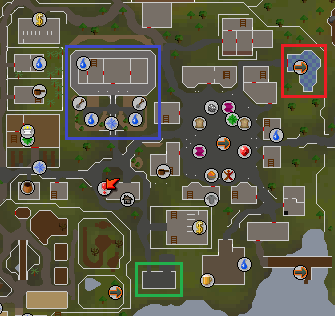 Head to the mansion to the west of the marketplace in Ardougne (blue square), where you'll see some guard dogs and a Gardener. Talk to Horacio the Gardener and he'll tell you about the security system on the house. 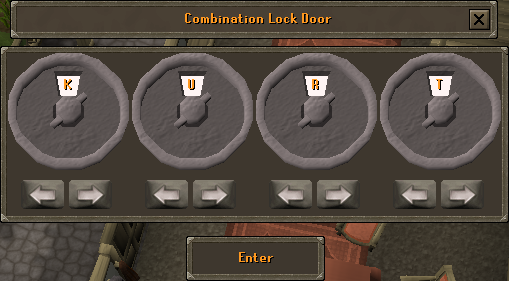 If you try to enter, you'll find that you are unable to go inside. Go speak to Wizard Cromperty in his house in the northeast corner of the city (red rectangle). He will tell you of his newest discovery, teleportation between him and another point. Ask him to teleport you and you'll be teleported inside of the RPDT Department's headquarters (green rectangle). Search the crates until you find one that is going to be delivered to the mansion, and you'll receive a label. Use the label with the box that is being delivered to Wizard Cromperty's house and then ask the RPDT Employee to deliver the boxes. Head to a small house just south of the mansion and pick up the Guide Book. Read it and then go back to Wizard Cromperty. 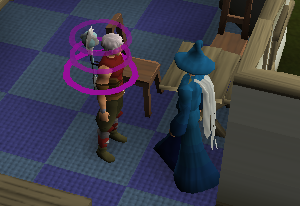 Ask him to teleport you again and you'll now be in the mansion. Exit the room to the east and walk through one more door. Then pick the lock on the locked door to your right (not the front door) with the stairs inside and you'll need to enter the password, which is K U R T.
The door will open. 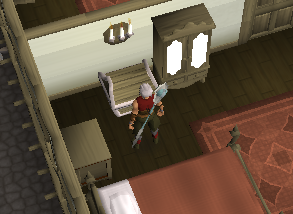 Search for the traps on the stairs by right-clicking them and selecting the investigate option and then climb up. 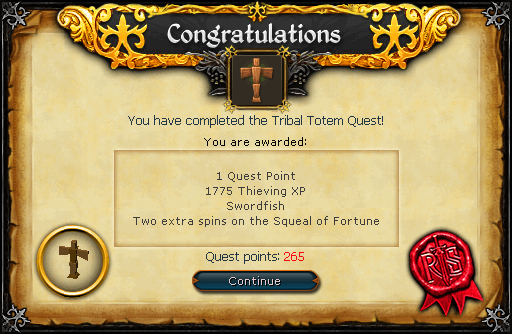 Open the chest to find a Tribal Totem, and then bring it back to Kangai in Brimhaven to complete the quest.